With the recent Oscar®-winning film, “Bohemian Rhapsody,” the music of Queen is more popular than ever. 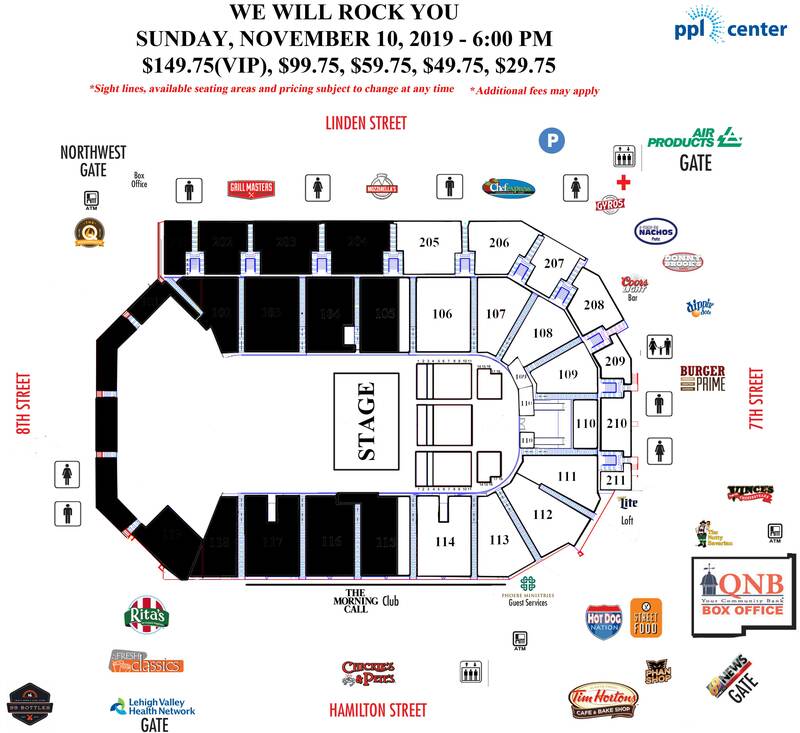 In 2002, many of those hits were compiled into a rock musical experience, WE WILL ROCK YOU, which will be hitting the road once again for a North American tour and will make a stop at PPL Center on Sunday, November 10 at 6:00 p.m. Produced by Annerin Theatricals in Alberta, Canada, WE WILL ROCK YOU will be offering a VIP package at each stop, which include cast member meet and greets, exclusive merchandise, and much more. Tickets go on sale to the general public on Friday, April 5 at 10:00 a.m. More information can be found at PPLCenter.com, on the musical’s official website, and a trailer can be seen here.